At a recent conference in Abu Dhabi on blockchain technology and the financial industry, the governor of the UAE central bank said that he was in discussions with the Saudi Arabian Monetary Authority over the potential launch of a digital currency in a ground-breaking joint venture between the two countries. It is to be hoped that the potential currency being studied by the two is an improvement on Bitcoin, the best known of the cryptocurrencies — but which has also become one of the most controversial phenomena in the financial world. Nouriel Roubini, the futurist economist who is said to have forecast the global financial crisis, has been even more vehement. “Crypto markets are the mother of all price-manipulation scams” run by “greedy crazies who care only about maximizing their funny money profits,” he recently tweeted. A look at the graphics suggests there is something in their criticism, especially as it relates to Bitcoin. Bloomberg produced a chart showing the recent volatility in the crypto’s share price plotted against other historic “bubbles” in global financial markets, such as the tulip craze of the 17th century and the US railroad boom of the 19th century, among others. Bitcoin’s spike stands out head and shoulders above all of them as the sharpest riser and the biggest faller. From a short-lived high of more than $20,000 a unit a year ago, it is below $5,000 and many experts are calling it the end. Bitcoin critics are not necessarily against all crypto currencies. 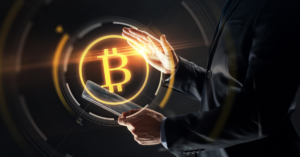 Rather, they point to the environmental cost of Bitcoin: It takes an enormous amount of electricity to “mine” Bitcoins; they highlight the anonymous and opaque nature of Bitcoin trading, which means it is the ideal currency for money launderers and other criminals; they also point to the extreme volatility in botching trading, made worse by the emergence of other forms of crypto currency. As you’d expect, such attributes have attracted the interest of central bankers and regulators around the world. Some countries — including Saudi Arabia — have declared trading in Bitcoin illegal. In others, regulators have acted aggressively to control markets and counter money-laundering and other abuses. 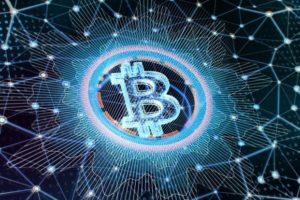 Some experts have agreed that it would be better for central banks to adopt some of the techniques of crypto-currencies for dealings between themselves and other big players in the global financial scene. Roubini, for example, despite his hostility to Bitcoin, recently argued for some form of “central bank digital currencies” (CBDCs) that could help to minimize the risk of bank runs and credit bubbles and facilitate trade and financial flows. The original enthusiasts for crypto-currencies would no doubt be aghast at the idea of the central bank’s co-opting their ideas. After all, the idealistic motive for Bitcoin and other cryptos was to escape the control of the central bankers and their “fiat” currencies in the first place. But — not least on the evidence of the Bitcoin experience — it is obvious the crypto-market needs to be regulated and controlled. It is against this backdrop that the recent Saudi-UAE initiative should be seen. Any currency that results from their joint studies would not be a monetary unit for everyday transactions, but rather a blockchain-backed instrument to be used in transactions between the central banks themselves and the bigger players in the two countries’ financial systems. It could lead to even closer ties between the UAE and Saudi Arabia, and perhaps even some form of association between the two central banks. Those with longer memories will recall how talks on a pan-GCC central bank ground to a halt, partly on rivalry between various cities vying to be the home to the new organization. If it’s home is to be in “the Cloud,” who could complain?